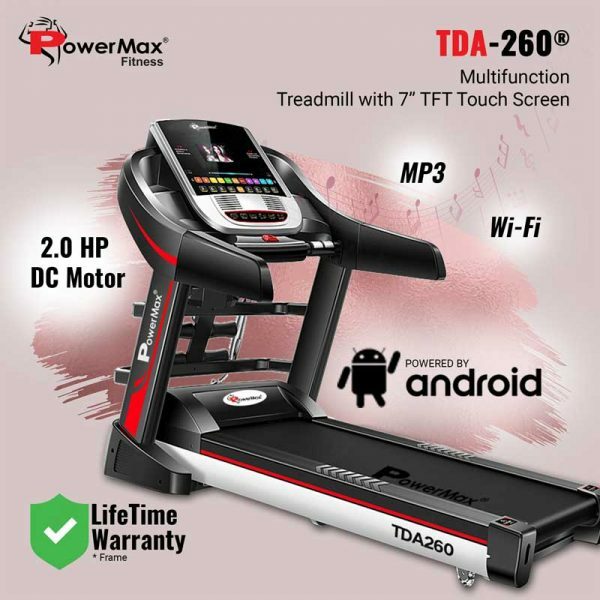 The TDA – 260 motorized treadmill from Powermax Fitness is a great solution for getting a gym workout at home and office! 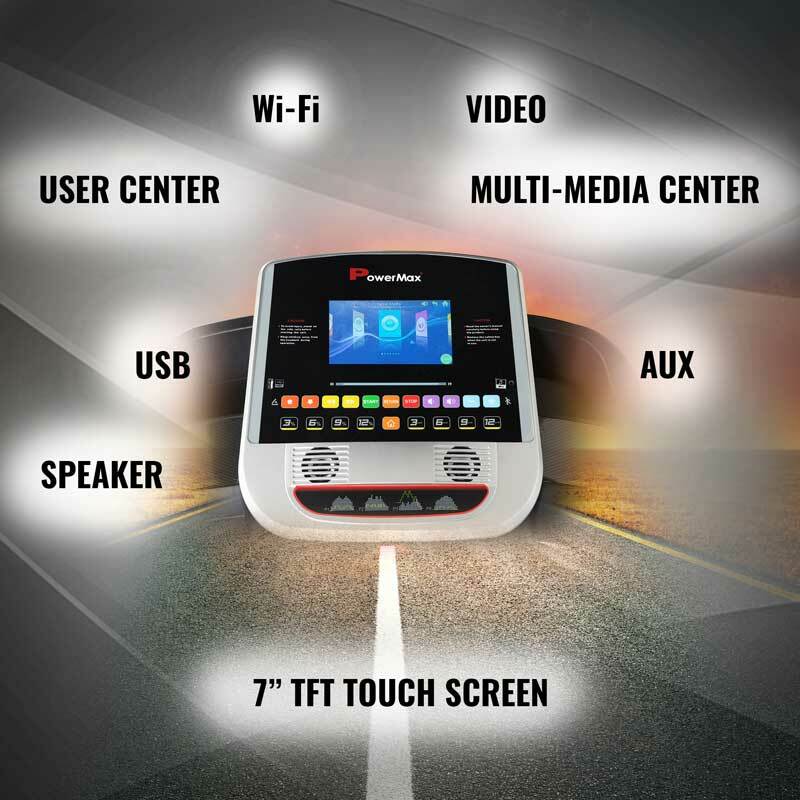 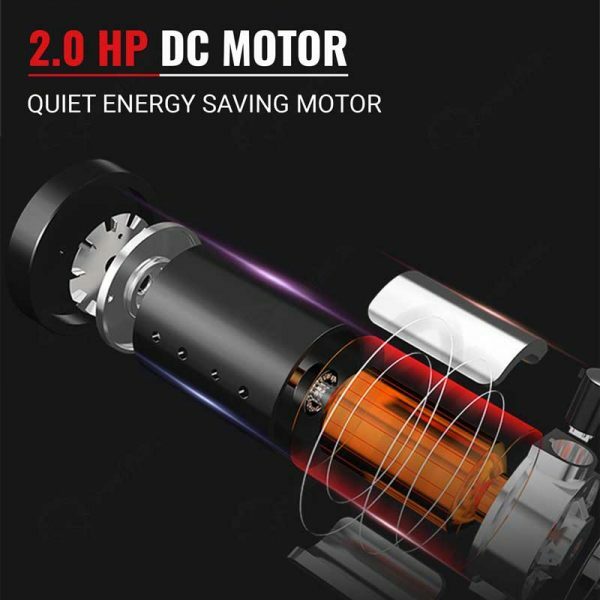 The 2.0 HP Motor offers a smooth ride while the Color Touch display tracks your distance, time, speed, calories burned, heartbeat and fat measurement. 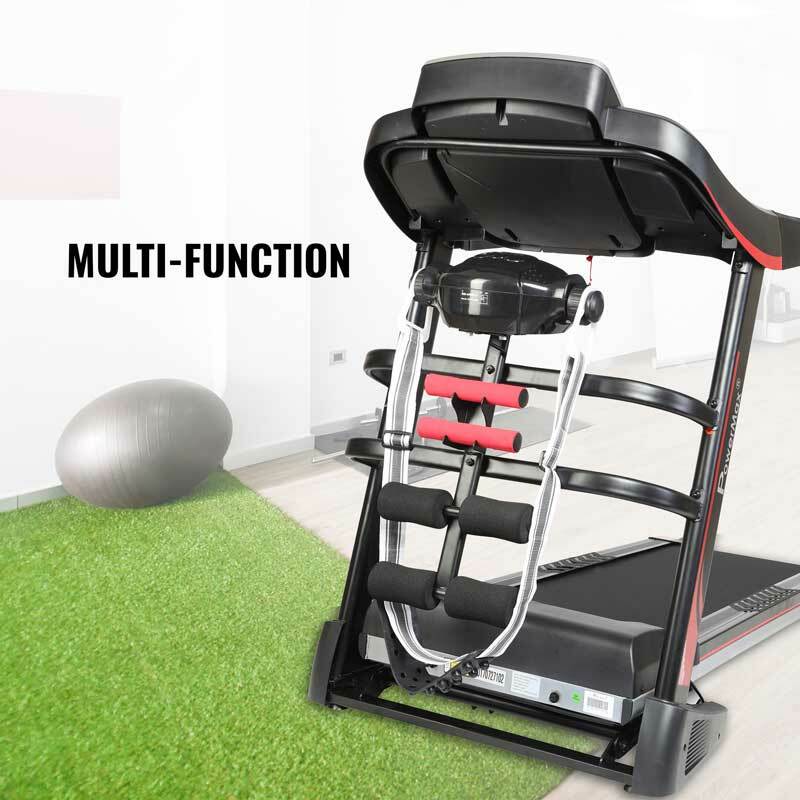 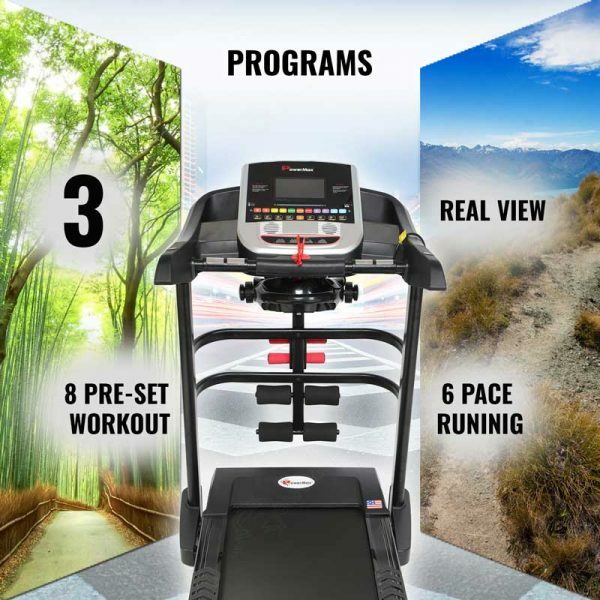 The unique features and performance shown by this treadmill have attracted many customers. 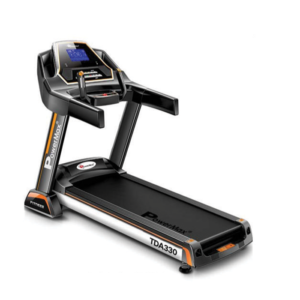 Best product for people who don’t get time for the morning walk. 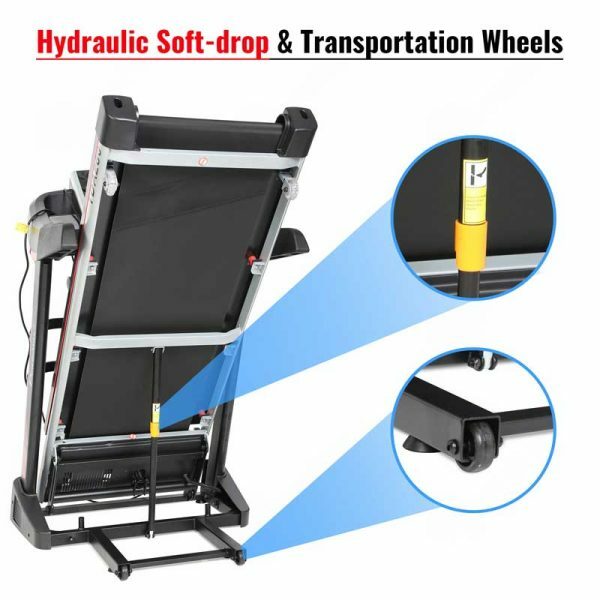 I do recommend it guys it’s true value for your money. The smart sound system with wifi is plus for this model. Totally in love with it as I’m over weight it accepts my weight (110) too🤭. 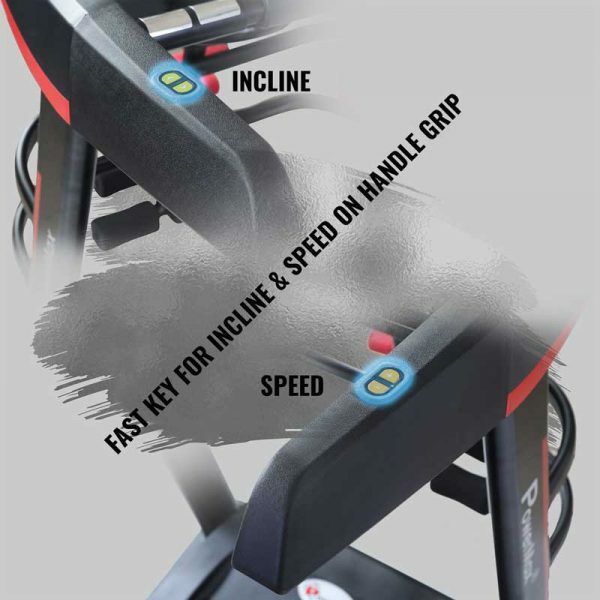 Easy to install using user manual. Good fitness accessory for home gym. 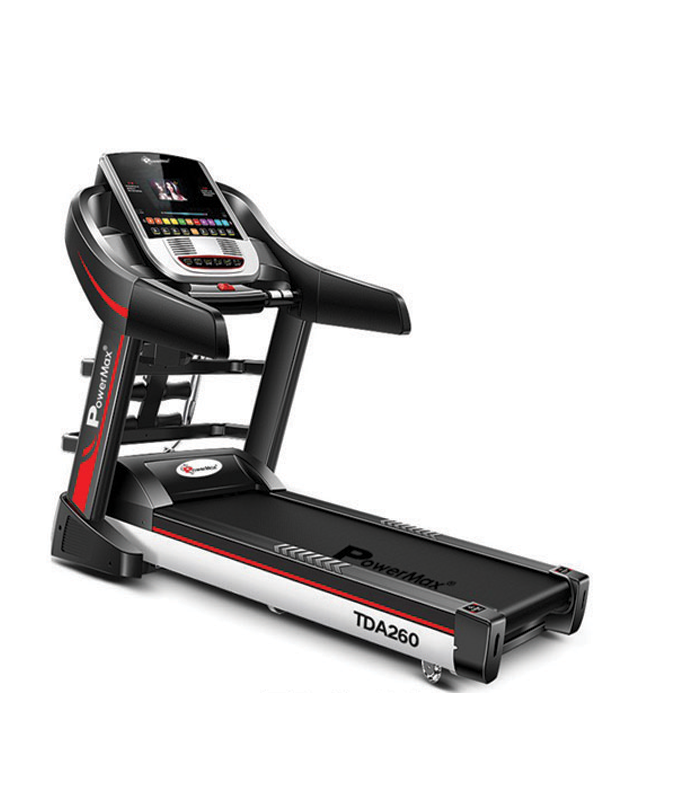 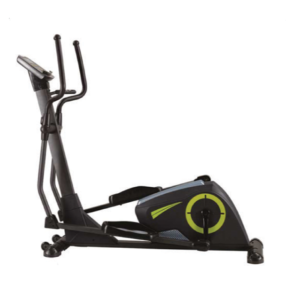 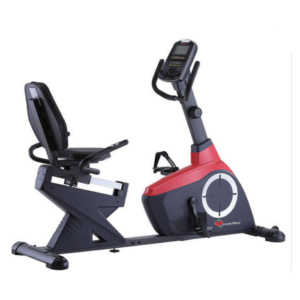 Better shock absorbents, easy to fix user manual to set it up this treadmill without any assistance from technicians. Bought it 2 month back and still working fine without any major issue.